The term “brand” gets thrown around a lot nowadays. It’s become a buzzword that has oversaturated the Internet and marketing world. But to what does it actually refer? According to Entrepreneur.com, put simply, branding is your promise to the customer. It is your corporate identity; what distinguishes you from the competition. It encompasses not only your product and services, but your values, mission, persona, and unique selling point (USP). Just as the word “brand” originally referred to the searing mark left upon cattle for identification purposes, you want your company’s brand to “burn” a lasting (and of course favorable) impression onto your customers’ minds. 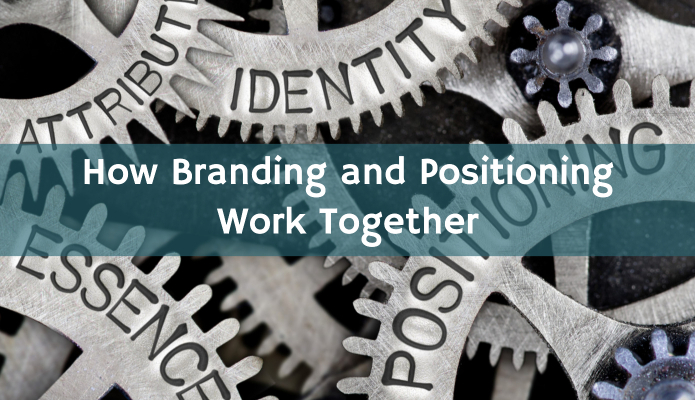 Positioning is all about the details of how you implement your branding strategy. You know who you are and what you offer. Now, you are looking for the most effective way to impart this information to the consumer base. For most companies, the first step in crafting an effective positioning strategy is performing a target market analysis. In other words, you are thoroughly researching the people to whom you want to advertise your products and services. This analysis should ideally combine demographics with empathy. You may begin by asking questions such as: What is the targeted age group? Gender? Income level? Once you find those figures, then it’s time to get a little more creative. What shared values do these consumers have? What are they looking for in this product category? What frustrations do they currently experience with similar, or competing products? What is the one thing that would improve their experience above all others? Planning commercial shoots: an established positioning strategy will help you select actors, locations, and themes that specifically appeal to your target audience. Selecting distribution channels for your product: your knowledge of the targeted consumer base will help you make optimal business decisions. To illustrate: if your target customers primarily live in rural areas, you will focus more attention on using distribution and retail channels that have a strong rural presence. Or, if the majority live in cities, you will want to distribute your product through urban channels. Deciding on the optimal price point for your product or service: led by your positioning strategy. While lower prices may hold a general (and obvious) appeal to most customers, if you are branding yourself as a quality-driven company, and targeting the high-end demographic, then price points that are too low can become counterproductive. Okay, so now that we have an idea of how branding and positioning work together, what are some real-world examples that can give us further insight? Two powerful examples of successful branding and positioning can be found in Tesla’s recent history, and Coca-Cola’s… well, history in general. As the electric car caught on in the public eye, most manufacturers focused their advertisements on reasonable prices and environmental consciousness. Tesla, however, took a different approach. The marketers at Tesla positioned the company as the luxury brand for the electric car market. As a result of this clear differentiation from the competition, Tesla electric car sales have continued to increase. Of course, Coca-Cola is one of the most successful brands in the world. Interestingly, over the years Coca-Cola has positioned and re-positioned itself in the beverage market, but for the most part, its brand has remained unchanged. What do you think of when you think of Coca-Cola? It may seem like a silly question; after all, we’re talking about a soft drink here! However, throughout its corporate history, Coca-Cola has done an amazing job at subtly reinforcing its brand image. In the 1950s Coca-Cola differentiated itself from competitors by implying that only those with poor taste would buy any soft drink other than a Coke. Since then, the Coca-Cola Company has sought to position itself as an advocate for inclusion, diversity, and US-centered patriotism. More recently, Coke has made efforts to shift its advertising focus from the feelings that purportedly result from drinking its product, to the product itself. As the above examples illustrate, branding and positioning are two critical components of a well-rounded marketing strategy. Maybe you see the need for your company to improve in one or both of these aspects. If you decide that it’s time for a “marketing tune-up,” one route you could take is to hire a digital marketing firm that has the expertise and experience to discover, seize, and maximize branding opportunities for your company. At DigiVid360, we know that a combination of good branding and good positioning makes for a lean, mean, well-oiled marketing machine. If you’d like to learn more about how we can help streamline your company’s marketing strategy, reach out to us today. The Top 6 Ways Your Unique Selling Point (USP) Answers The Question, "Boxers or Briefs?"